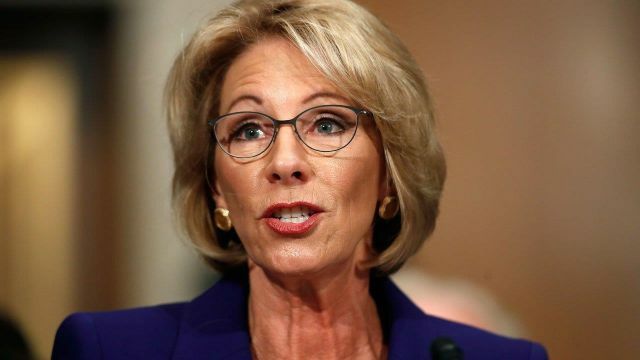 I’m seeing on Facebook that a lot of people have strong (negative) opinions today about Betsy DeVos, who has been nominated as Secretary of Education, despite the fact that 99.9 percent of them had never heard of Betsy DeVos until about five minutes ago. Why do people suddenly have a strong opinion about someone they’ve never heard of? How is this possible? Because they’ve been instructed to have a strong opinion about Betsy DeVos in order to be consistent with the image that they have of themselves and the groups they want to fit in with. BTW I have no opinion about Betsy DeVos at the moment because I had never heard of her until about five minutes ago . . .